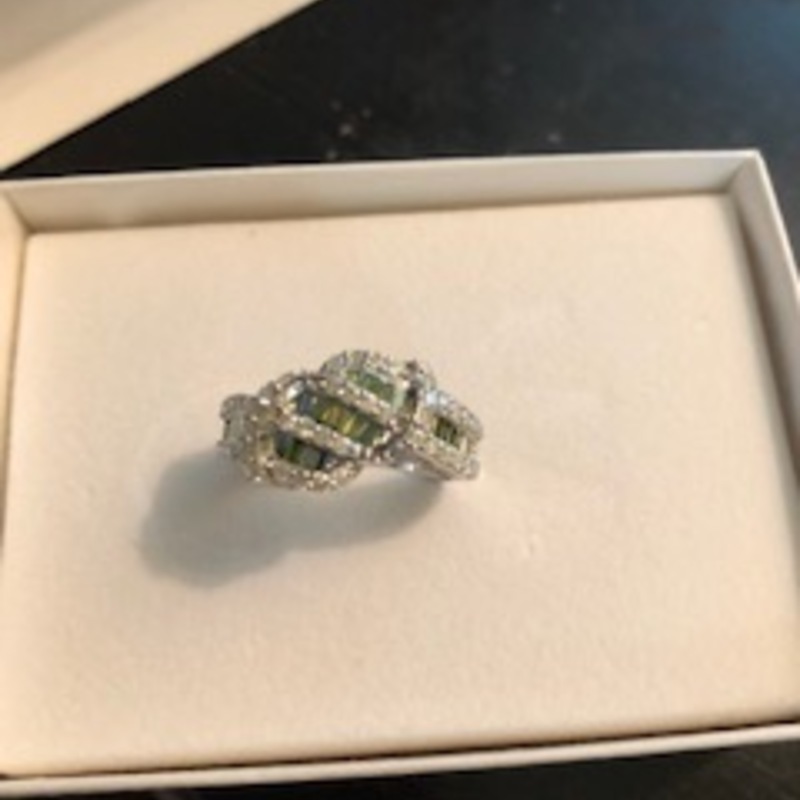 The item appraised is a 14k white gold, white and green diamond ring. The irradiated green diamonds are baguette and surrounded by round prong set white diamonds. The value provided is for auction and is based on recent records of similar items. Retail asking prices for jewelry are significantly higher than the auction market. I wrote "rings." I'm clear that they aren't earrings. :) I will supply your appraisal shortly.